180uH inductor. 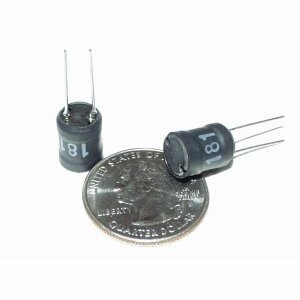 High current rated with a wide operating frequency range. Works well with the MC34063A Buck/boost converter used in our High Voltage Ringer Circuit. From the datasheet, 1.08 Amps.